This stunning card features a pair of lovely angels surrounded by white poinsettia flowers! It will bring good cheer to your loved ones this holiday season. 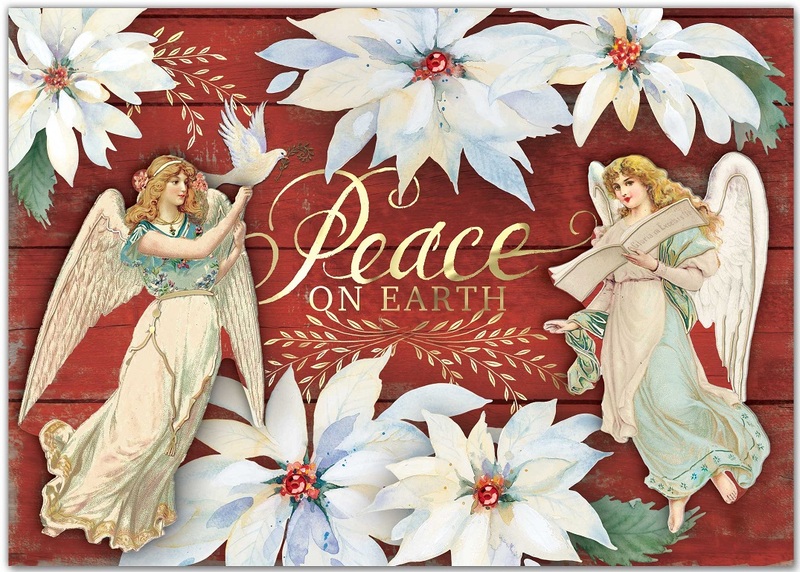 "Peace on Earth" is written at the center, and gems accompany gold foil to give the whole thing a shimmer! Written inside is the message "Wishing you all the Joys of the Season".